Welcome to Mandala Wellness. We are an integrative osteopathic and health care clinic located in Geelong and servicing the local community. Our clinic is spacious, calm and quiet. There is plenty of free parking and we have easy access for people with mobility concerns. How can Mandala Wellness help you? At Mandala Wellness we offer a holistic approach to overall wellness, focusing on integrating our practice with your general practitioner or specialist. We enjoy a reputation in the Geelong community for taking the time to understand our clients and to develop an individualised plan to help reduce your pain, relieve your condition and increase your quality of life. Members of their respective National Professional Associations. Registered with the Australian Health Practitioner Regulation Agency (where applicable). Registered service providers for the TAC and Department Veterans Affairs. Private Health Care Members with Ancillary Cover can claim on the spot and only pay the gap fee. 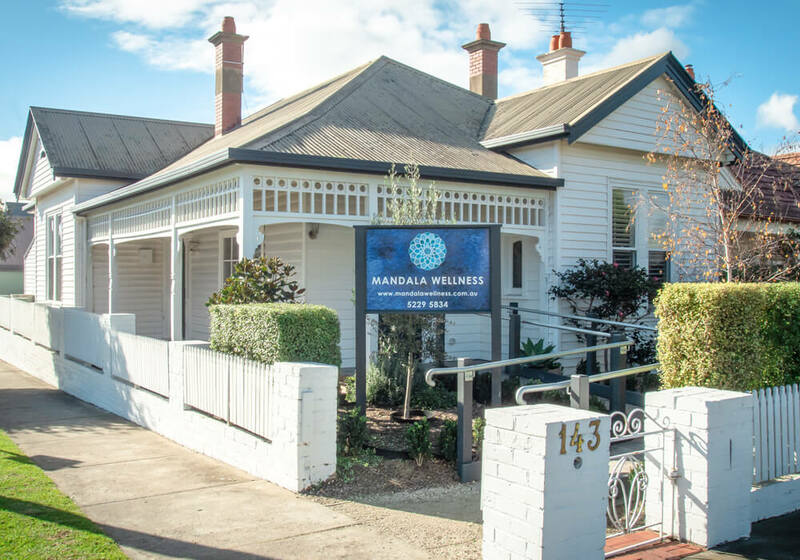 Mandala Wellness Health Clinic is conveniently located at 143 McKillop Street Geelong. There is plenty of free parking on Fitzroy Street and we have easy access for people with mobility concerns.